The Rusch Golden-Drain™ is a one piece latex male external catheter. 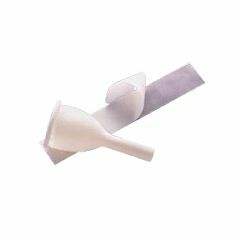 Golden-Drain One-Piece External Catheters are available in regular, medium and small sizes. They can be purchased in bulk or in individual packaging. Where is the external draining bag for ordering ? did the manufacturer go back to the thin sheathing or are they still making them with the thicker sheathing?. i wish they hadn't changed them a few years ago.